This topic contains 0 replies, has 1 voice, and was last updated by erin glass 4 months, 2 weeks ago. Roderic Crooks (crooksr@uci.edu <mailto:crooksr@uci.edu>), Assistant Professor, Department of Informatics. Yeshimabeit Milner, Executive Director, Data 4 Black Lives. Datafication, “the transformation of social action into online quantified data, thus allowing for real-time tracking and predictive analysis” (van Dijck, 2014, p. 198) describes both the spread of data-intensive technologies and a concomitant ideological stake in a politics of knowledge. This transformation ignores the ways that algorithms, models, and data schema can serve as vehicles for bias and further oppression (Noble, 2018). Data-intensive technologies of “automated inequality” in their various forms, though originally developed in the context of scientific and commercial environments, are being deployed relentlessly in racialized, minoritized, and precariatized communities: in provision of public services by government agencies, in bail decisions by the criminal justice system, in threat assessment by law enforcement, and in many other sites (Eubanks, 2017). Activists have responded to these threats through organizing, direct action, and, in many cases, reports and documents that support grassroots activism. (e.g., Stop LAPD Spying Coalition, 2018). Community-based researchers have connected state-of-art technologies to long histories of oppression and violence in communities of color. Writing by activists educates community members and policymakers about the harms data capture can pose and, at the same time, offers more meaningful alternatives to the presumed benefits of technological access in minoritized communities (Crooks, 2017). What are the possibilities for technology researchers to engage with activists in response to the challenges posed to our communities by data-intensive modes of governance and administration? 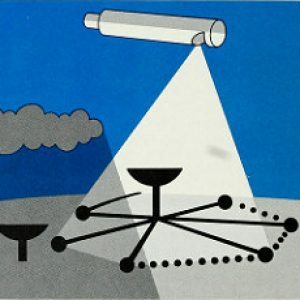 How can research support social movements in exposing the role of technology in constraining, (infra)structuring, and directing the civil sphere? How might scholars dedicated to studying and serving minortized communities redraw the boundaries of research and activism to address the concerns of our home communities, build solidarity, and contribute to collective resiliency? This workshop and working group will meet to map out new research agendas that draw on, support, and advance activist responses to datafication in minoritized communities. We invite scholars, journalists, graduate students, artists, adjunct lecturers, para-academics, public scholars, community activists, and data/information professionals interested in thinking through the relationship between activism and research to join this forum. The goal of the two-day workshop will be to identify an actionable research agenda that will support the interests of minoritized communities and to build an intellectual network to support this work. · Resistance, non-participation, and speculative engagements with politics. People interested in participating should send a 250-word statement of research/statement of activism to crooksr@uci.edu <mailto:crooksr@uci.edu> by January 15, 2019. Please include in this statement what you would like to contribute to this workshop and what you would like to get out of it. In addition, please include a 100-word bio. Submissions will be reviewed and participants will be invited by Feb 1, 2019. Participation will be capped at 20 people. Meals will be provided. Limited support for travel and lodging is available: priority for funding goes to students and those without institutional support. We welcome your questions. Please contact crooksr@uci.edu <mailto:crooksr@uci.edu> with any related inquiry. Eubanks, V. (2017). Automating inequality: How high-tech tools profile, police, and punish the poor. New York, NY: St. Martin’s Press. Noble, S. U. (2018). Algorithms of oppression: How search engines reinforce racism. New York, NY: New York University Press.